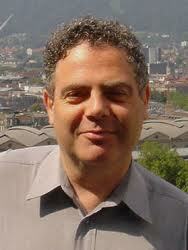 Bertrand Meyer received the equivalent of a bachelor's degree in engineering from the École polytechnique in Paris, a master's degree from Stanford University, and a PhD from the Université de Nancy in Nancy, France. He had a technical and managerial career for nine years at Électricité de France, and for three years was on the faculty at the University of California, Santa Barbara. Since October 2001, he has been Professor of Software Engineering at ETH Zürich, the Swiss Federal Institute of Technology, where he pursues research on building trusted components (reusable software elements) with a guaranteed level of quality.